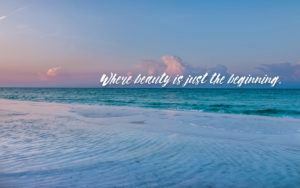 Pensacola Beach is world famous for its sugar-white sand beaches and emerald-green waters. Here you’ll find endless opportunities for fun and relaxation. Savor fresh gulf seafood or sip a Bushwacker at our many restaurants and hangouts, take a walk or catch a fish on the Pensacola Beach Pier, or simply relax in the sun and watch your worries float away. Harris insurance has been providing business insurance, home insurance, auto insurance, and life insurance in Pensacola Beach Florida for 52 years. We are a local, family-owned, independent insurance firm in business since 1964. The goal of our insurance agents is to protect our clients from potential financial loss while providing the best value from the insurance marketplace. Get started protecting your family and business today. Turn to our company for business, home, auto, and life insurance in Pensacola Beach, FL. With our years of experience, we can help you find the right insurance plan for your family or business. We’ve worked in the area since 1964, making us the oldest personal insurance brokerage in the Pensacola Florida area. With access to more than 150 different insurance companies, we can help you find the exact plan to match your coverage preferences and your budget.